CSTA is pleased to announce the winners of the 2018 CSTA Awards for Future Science Teacher Award, Christine Bertrand Advocacy Award, Distinguished Contributions Award, CSTA Honorary Memberships and 2018 PAEMST-Science recipients from California. The following individuals and organizations were honored during the 2018 California Science Education Conference on November 30- December 2 in Pasadena. This year's group of awardees are truly outstanding. Please join us in congratulating them! The CSTA Future Science Teacher Award recognizes college students who demonstrate an interest in and commitment to science education through volunteer, teaching, and professional organization activities and who show promise to become outstanding science educators. Erik is working on his multiple subject credential and an educational specialist credential. He will be graduating in May 2019 with both of these credentials. His undergraduate degree was in Liberal Studies. 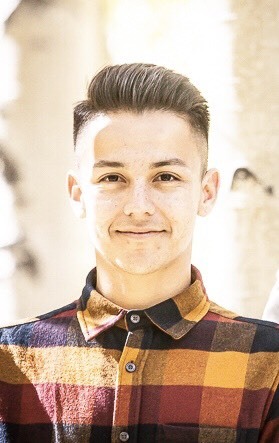 During summer 2017 he worked with me at CSULB’s Young Scientists Camp. He was assigned to work with a mentor teacher and another preservice teacher. The team spent a week prior to camp planning their 45 hours of hands-on science investigation. His team taught middle school students for a two week STEM Makers Challenge. This was an integrated program where students learned science concepts related to electricity and magnetism, forces and simple machines. They designed and built Rube Goldberg contraptions, they designed devices to solve a problem (and did a Shark Tank like presentation to sell their prototype) and more. The Christine Bertrand Advocacy Award is named for CSTA's former executive director Christine Bertrand. Christine served as CSTA's executive director 1996-2011. Under her leadership, CSTA achieved many advocacy victories for science education. In 2015, the CSTA Board of Directors established the Christine Bertrand Advocacy Award to honor her service to science education. The award honors an individual(s) who demonstrate a commitment to quality science education in California, going beyond expected levels of involvement. The award recognizes outstanding advocacy and championing of quality science education. Nominated and bestowed by the Board of Directors, no more than two awards will be given per year. Currently, Jane is the Assistant Superintendent for Educational Services at San Joaquin County Office of Education (SJCOE). 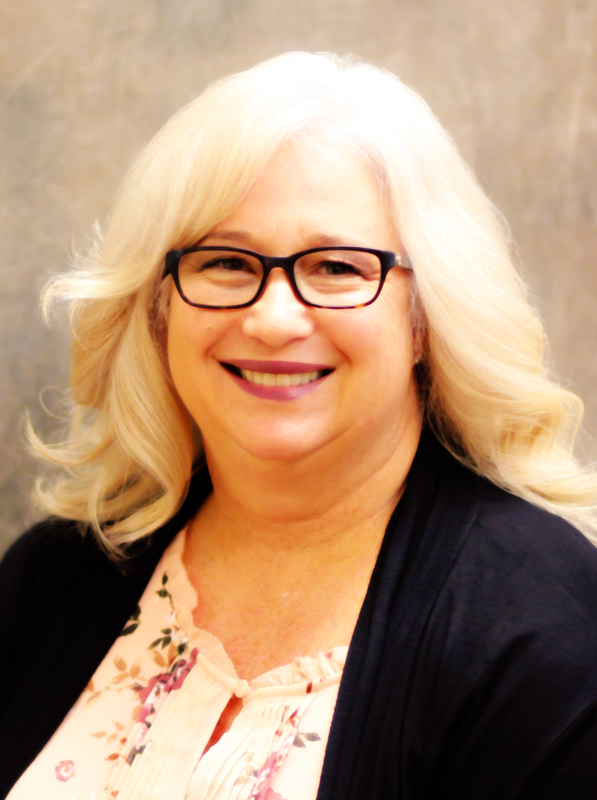 As part of her assignment as an Assistant Superintendent, Jane was nominated and accepted the opportunity to lead the California County Superintendents Educational Services Association (CCSESA) Curriculum and Instruction Steering Committee (CISC) for Science. The CISC Science Committee represents all 58 counties in California that help work with local school districts in order to facilitate curriculum and instruction support in the implementation of our CA science standards. Many were surprised by this nomination, as Jane was a language arts teacher previously, not a science teacher. It did not take long for it to become clear that Jane was an ardent science advocate hiding in an English teacher’s body. In her role as the chairwoman of the CISC Science Committee, Jane has been instrumental in forging a statewide partnership between the California Department of Education (CDE), California Science Project (CSP), the K12 Alliance at WestEd, the California Science Teachers Association (CSTA) and CISC. In doing so, this NGSS collaborative has organized and delivered 10 statewide Next Generation Science Standards (NGSS) Roll Out events each year for the past four years. This has been a model that has been recommended for use by other subject groups in California, and as a model for other states to use across the country. The CSTA Distinguished Contributions Award honors an organization, institution or foundation which has made a sustained, significant impact on science education in the state and which, through years of leadership and service, has truly made a positive impact on the quality of science teaching and learning. This year's awardees are the NASA Jet Propulsion Lab and Scripps Institution of Oceanography. JPL has consistently been a support by their regular participation in CSTA’s California Science Education Conference (as presenters, exhibitors, even driving the Mars Rover over to the convention center). In addition, they have been a key player in making sure students in California have a high-quality science education by serving on the State’s Science Expert Panel. The staff at JPL have been a resource to both the local, state, and national science education community. Here in California, JPL has been quick to respond to requests for support in the form of expertise in science when called upon. Most recently, their staff participated in writing a learning sequence for the California NGSS state-wide Rollout. They also produced a video series on how engineers at JPL use the engineering practices in NGSS to help teachers bring these standards to life for their students. Year-round, JPL offers teachers and the public with professional learning workshops and experiences. Scripps Institution of Oceanography has long been a support to educators in their southern California community. Most recently, with the adoption of the Next Generation Science Standards, they have been a major support to the CA NGSS K-8 Early Implementation Initiative, serving as a resource for content and pedagogy instruction and by having several of their scientists serve as cadre for summer institutes. This well-established relationship with JPL and Scripps afforded CSTA the opportunity to invite both organizations to serve on the 2018 CSTA Conference Committee to help shape a vision for how to support teachers in teaching new NGSS content that relates to climate science. Understanding that much of this science was new to educators, both institutions rose to the challenge to help us shape a Climate Summit program that would enrich teachers but also provide them with the necessary vision for how to teach the new content. Supporting teachers to ensure ALL students become scientifically literate adults, with doors open to future careers in STEM fields, takes a community and a big-picture vision. Both JPL and Scripps exemplify this with their long-standing support of the science education community in California. At the June 2018 meeting of the CSTA board of directors, the board unanimously voted to grant Honorary Membership in CSTA to State Superintendent Tom Torlakson and State Board of Education President Michael Kirst. Honorary membership is granted by the board of directors to individuals who have achieved distinction in teaching, research, or service in science education. Dr. Kirst is currently the president of the California State Board of Education and has served in this role since his appointment in 2011. During his time on the board during this term (he also served in this capacity 1975 - 1982 under Governor Jerry Brown during his first two terms) Dr. Kirst has presided over the board during every critical step and State Board action pertaining to the adoption and implementation of the California NGSS. CSTA has come to know him has a careful listener, thoughtful questioner, and supporter of high-quality science education for all students. He is is a Professor Emeritus of Education at Stanford University and has been on the Stanford faculty since 1969. Kirst received his Ph.D. in political economy and government from Harvard. Before joining the Stanford University faculty, Kirst held several positions with the federal government, including Staff Director of the U.S. Senate Subcommittee on Manpower, Employment and Poverty, and Director of Program Planning for Elementary and Secondary Education at the U.S. Office of Education. He was a former president of the California State Board of Education. His latest books are, From High School to College with Andrea Venezia (2004) and Political Dynamics of American Education (2009). Professor Kirst is a member of both the National Academy of Education and the International Academy of Education. State Superintendent of Public Instruction Tom Torlakson is currently serving in the final year in this role. Elected to this position in 2010, he took the helm at the California Department of Education (CDE) in January 2011. Consequently, like Dr. Kirst, Superintendent Torlakson has been in a state-level leadership role in California science the development phase of the California Next Generation Science Standards. A former science teacher, he is a strong supporter of science and STEM/STEAM education. He formed two state-wide taskforces that developed the Blueprint for Environmental Literacy: Educating Every Student In, About, and For the Environment and Innovate: A Blueprint for Science, Technology, Engineering, and Mathematics in California Public Education. Under his leadership, CDE became a partner in the California STEAM Symposium, now in its 6th year. 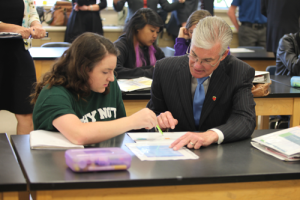 Always a friend to CSTA, Superintendent Torlakson has made himself and his staff available to answer questions, address concerns, and collaboratively develop solutions to challenges facing science education and CA NGSS implementation. Prior to his service as State Superintendent, Mr. Torlakson served in both houses of the California Legislature, serving the 7th Senate District and 11th Assembly District. 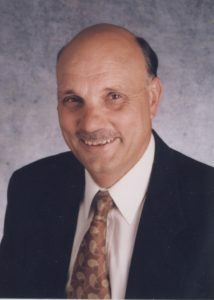 He served in the legislature 1996 - 2010. Prior to his time in the legislature, he was a teacher in the Mt. Diablo Unified School District on Contra Costa County. He served as a fireman in the United States Merchant Marine in 1967-1971, earning the Vietnam Service Medal. Michael Kirst and Tom Torlakson will be recognized with their honorary membership at the 2018 California Science Education Conference. CSTA annually partners with the California Department of Education to honor the California science teacher state finalists and recipients of the PAEMST. The PAEMST are the nation's highest honors for teachers of mathematics and science (including computer science). Awardees serve as models for their colleagues, inspiration to their communities, and leaders in the improvement of mathematics and science education. The 2018 California State Finalists will be announced by CDE later this month. On June 25, 2018, the recipients of the 2016 PAEMST, selected by the White House Office of Science and Technology Policy and National Science Foundation, were announced. The science recipient from California is Nancy Wright, an elementary science specialist in the Hayward Unified School District. CSTA invites you to join us as we honor excellence on Saturday, December 1. The awards lunch will include the presentation of awards along with a presentation from Stephen Pruitt.